I don't know if this is even helpful... But it might help? 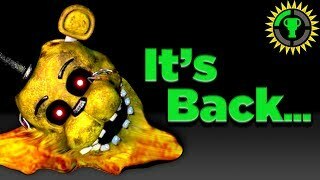 I don't know how, but anyway... *COUGH COUGH* In FNAF 2, you can see the endoskeleton in Mangle's mouth, but in UCN, you can't. This probably doesn't even matter, but it could... BUT THAT'S JUST A THEORY - A GAME THEORY! Thanks for reading.